For those aspiring to live the waterfront metropolitan lifestyle, Charlestown is the perfect fusion of both. Situated on a peninsula in Boston, Charlestown is surrounded by the Charles River, Mystic River and Boston Harbor, creating coveted waterfront property overlooking the iconic Boston skyline. 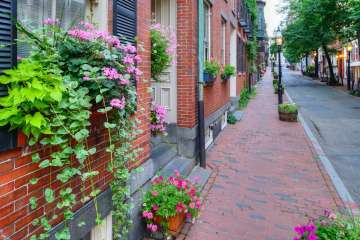 As the oldest neighborhood in Boston, Charlestown has seen much gentrification over more recent years, attracting a mix of upper middle class residents that have settled into the traditional town homes, brownstones, and new luxury condo and apartment developments in the area. With many local shops and restaurants along Main Street and in City Square, Charlestown is truly a small, unique community within the larger city.